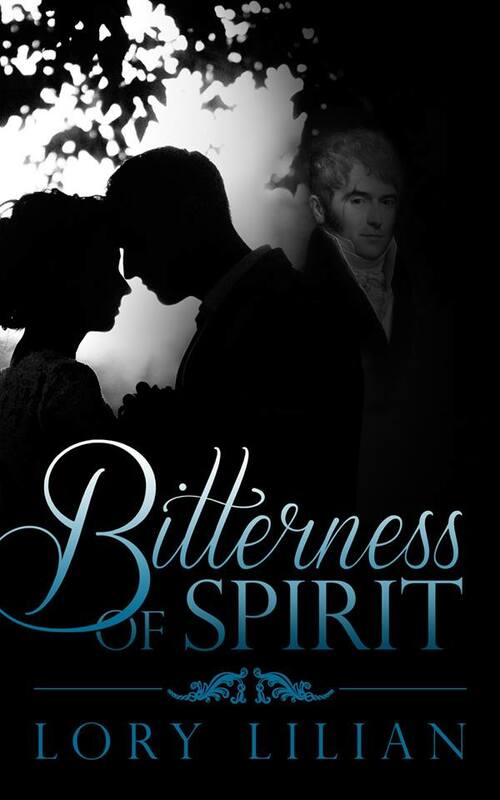 Bitterness of Spirit tells the same beloved story—with new twists, new characters, and new situations—of Fitzwilliam Darcy and Elizabeth Bennet, two powerful characters struggling against pride and prejudice to reach their happily ever after. On the path towards happiness, they overcome well-known obstacles, as well as new ones, face opponents in classic battles, and defeat others in unique ways. Even more, an original character—seemingly lost to the world for nearly a lifetime—emerges from an obscure past to connect their lives and families in a way no one could imagine. Will Elizabeth and Darcy’s relationship disintegrate or evolve under such challenging circumstances? Bitterness of Spirit is recommended for a general audience except for the last chapter, which is intended for mature readers. It may be omitted based on the reader’s preference. They continued their walk as well as their conversation. Gradually, Bingley and Jane, arm in arm, moved several steps further while Elizabeth and Darcy remained a little behind. The park was crowded, and the paths, bordered by rows of flowers, carried a charming scent. A few minutes passed before Darcy began to speak. They walked side by side, their arms almost touching as they moved. A chill coursed through her. “A delicate matter? What would that be, sir?” Surely, he would not propose if he started that way, and certainly not in the middle of the park. Or would he? “Miss Bennet, Lady Catherine has finally accepted Wilson’s invitation to the ball,” he said hesitantly. “I am truly happy to hear that she wishes to come. And honoured,” Elizabeth replied sincerely. “Miss De Bourgh’s health?” Elizabeth inquired, puzzled. “How generous and kind of you. Miss De Bourgh is surely pleased to have such considerate cousins,” Elizabeth responded, puzzled as to why he would make such a disclosure to her. “We only hope to see her content and relaxed. However, many of those in attendance know that Anne and I are expected to marry,” he uttered, glancing at her. She met his eyes briefly. She held his intense gaze and allowed herself to become lost in it. “Oh…” she whispered while he slowly resumed walking. Their eyes locked again before they continued to walk. No other words were needed. “Thank you for warning me,” she said, laughing nervously. “I think that is a perfect choice, sir,” she whispered. They stepped side by side for a while, her emotions mixed and strong. His confession and the explanation he offered were stronger proof of his affection than any dance could be. His kindness towards his cousin did not diminish his admiration and care for her. “This is good to know…very good to know,” he uttered in a low voice. “Will you come to Hertfordshire?” she inquired sometime later. They were both looking ahead, paying attention to the view ahead, painfully aware of each other’s closeness. She said nothing but felt so much that her entire being was wracked by chills. Her mind tried to keep her racing heart under good regulation, but not even her fear of assuming too much could dismiss the obvious truth in his words. Although their walk lasted only an hour, Elizabeth knew its importance could last a lifetime. They returned home, and the gentlemen soon left, leaving both Miss Bennets with large smiles and light hearts that did not go unnoticed by their relatives. However, the only subject discussed was the upcoming ball. Ms Lilian would like to offer two ebooks to two different winners. The giveaway is international and each winner will be able to choose any of her books including Bitterness of Spirit. To enter the giveaway all you have to do is comment on this post until the 19th of October and let us know what you thought of this excerpt. It was a good thing Darcy explained,the situation before there could be a misunderstanding and due to what I read I believe there were misunderstandings due to a lack of communication before. Looking forward to reading this book,as I have loved all Lory Lillian’s other books. Thank you for sharing the excerpt and for the generous give away. Sigh! I do love it when these two talk honestly to each other without any misunderstandings. I bought this on release day of course and am waiting to finish the book I’m reading then I can start this. Can’t wait for the hot mush!! Please don’t include me in the giveaway as I already have every one of Lory’s fabulous books which I re read regularly. Good luck with this book Lory (I see it’s already doing well) and thanks for this post Rita, happy holiday to you. Hi! Don’t include me in the giveaway, because I don’t have an e-reader, but I wanted to ask Lory if she is planning to release a paperback version of Bitterness of Spirit. I noticed that her last books are only released in ebook versions, but I would love a paperback of BoS. Pretty please? Arjanne – Bitterness of Spirit and Ardently Loved will both come out in paperback in a couple of weeks. Thanks for your interest! This is so delicious!!! So very thoughtful of Mr Darcy to arrange people’s dance cards and avoid misunderstandings 😉 . SO glad this is out already, Lory! Off to grab it, I can’t wait another minute! Yes, it is finally out! Joana – hugs and thanks! Lovely excerpt. Congrats on the release. I noticed this as a new release when I was on my kindle thus weekend and was going to add to my TBR list. I am glad you enjoy the excerpt and thanks ! Hope you will read and enjoy it. Good luck with the giveaway. What I thought of the excerpt??? OMG! My heart is pounding. I caught myself leaning in toward my computer as I read Darcy’s words to Elizabeth. I was wondering where he was going with his comments. Oh, such an explanation. He is so considerate of his cousin Anne. I feel Elizabeth was a bit fearful where he was going also. Man, that was so cool. He certainly didn’t want there to be any misunderstanding with Elizabeth this time. Thanks, Rita, for hosting. Hope you enjoyed reading during your trip. Thanks to Lory Lilian for the generous giveaway. Blessings on the success of this launch. Enjoyed the excerpt. I’m so glad that he decided to share with Elizabeth what he had intended to do at the ball and what he felt he had to change now that Anne was attending. Hopefully with open communication there won’t be any misunderstandings between them. I loved this excerpt! I will definitely be reading it on Kindle! Thank you as always, for the recommendation! Thanks, Tamara. Hope you will enjoy it! Good luck with the giveaway! Another terrifc Read! Congrats, Lory! I enjoyed this. So he is preparing Pemberley for a time when Elizabeth will be there yet he has not proposed? You know what they say about assuming anything. It does seem like he cares for her and that she is expecting his addresses to further but is that too obvious? Is something else going to come up to divert his attention and lead her to a misunderstanding? Would love to read this so thanks for a chance to win a copy. Sheila, there are lots of things going on. 🙂 Hope you will read and enjoy it. Good luck with the giveaway! Lovely excerpt! I can’t wait to read this book and find out what happens at the ball. Thanks so much for the chance to win a copy. I do love hot mush! Sounds like an amusing and interesting book. Oh yes…hot mush! That was a perfect way to discuss a delicate conversation. He is learning! 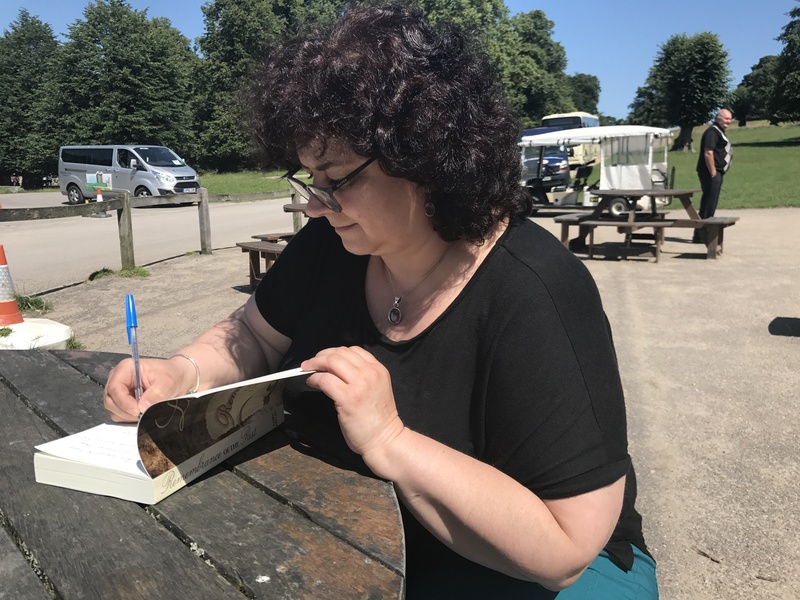 Looking forward to reading more and thank you for a chance at winning it! Have a wonderful vacation Rita! I enjoyed this excerpt. I do enjoy the different variations that authors invent for ODC. I look forward to reading this book. For now, it is on the TBR pile. Thanks for sharing. Congratulations on this 10th book. Ooh! I love Lory Lilian and can’t wait to read her new book! Thank you so much for sharing! The blurb is sufficiently vague enough that I need to read the book to find out more! Lory has been teasing us for a while about this new story, but without offering any information. I can hardly wait. Intriguing! The description hides more than it reveals almost… I’m eager to find out what happens! How very thoughtful of Darcy to discuss the ball with Elizabeth. I am sure it was very difficult for him. So, does Lady Catherine arrive at the dance and announce Darcy and Ann’s supposed engagement? Thank you for the excerpt and giveaway. I truly have loved all of Lory Lilian’s books. I am a fan of all of Lory Lilian’s books. This one sounds wonderful as well. I like the excerpt but i’m slightly confused of where the story is heading. From reading between the lines, I think Darcy has already proposed to Elizabeth and she has accepted him. Please correct me if I’m wrong. Thanks.